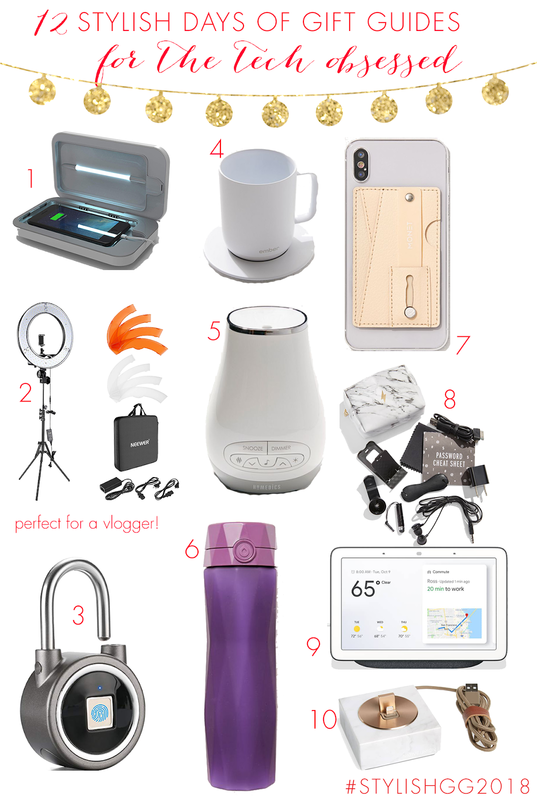 Today's gift guide is probably one of my favorites guides to put together. I am definitely a techie and love all the newest gadgets and we all have that person in our life. Today is all about them! Remember to follow along on social media using #StylishGG2018! Happy Friday Eve! You can also access all of the items I share each day in the "Holiday" tab at the top of the page and under "Gift Guide Shop" as well as each gift guide under the "Gift Guides" tab!